We have some great packages that include diving & accommodation, they offer a discount and so are great value. WHEN YOU CAN DIVE BOTH THE GILIS & SOUTH LOMBOK? 2.5 hrs away by car the South Lombok is not to be missed! 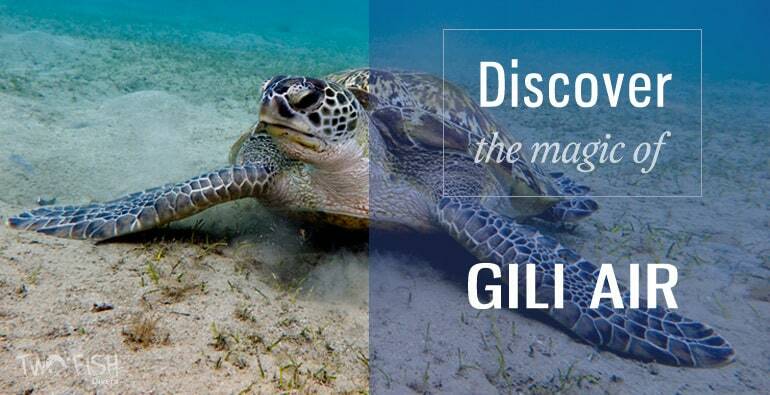 Check out our Discover the Magic of Lombok (Gili Air & South Gilis), Discover The Magic of South Gilis & Discover The Magic of South Lombok where you can Stay in Sekotong and dive both The South Gilis and Belongas Bay. These packages are based on 2 day-dives per day, and include bed & breakfast accommodation with double occupancy. Add afternoon & night dives when you are here. Packages with 3-dives/day and 4-dives per day are available, as well as other accommodation options. Please let us know if airport transfers are required, we can book these for you at extra cost. We are partnered with Villa Karang resort which overlooks the beach, this relaxed island hotel is a 2-minute walk from the Gili Air Harbour. Most of the warmly lit rooms have air-conditioning and hot water. Standard Garden View rooms include TVs and tea and coffeemakers, while Superior Garden View rooms have flat-screens and minibars.